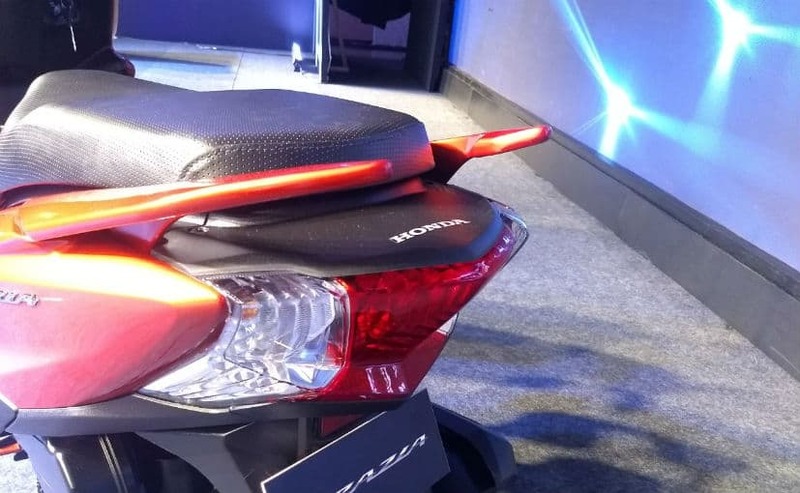 India's second largest two-wheeler brand Honda Motorcycle and Scooter India today launched its new urban scooter 'Grazia', priced competitively at Rs. 57,897 (ex-showroom Delhi). 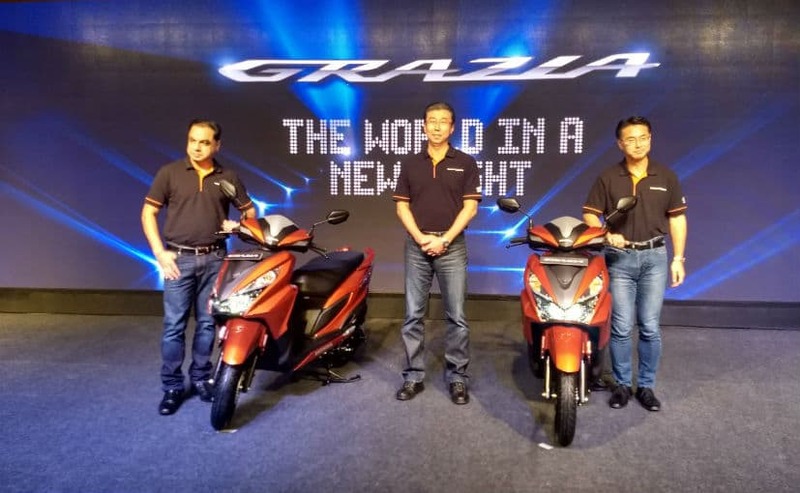 Grazia is the 7th member in Honda's scooter lineup, with Activa being the most trusted and highest selling two-wheeler in India. Honda describes Grazia as: "A perfect blend of Youthful Innovation with advanced features". 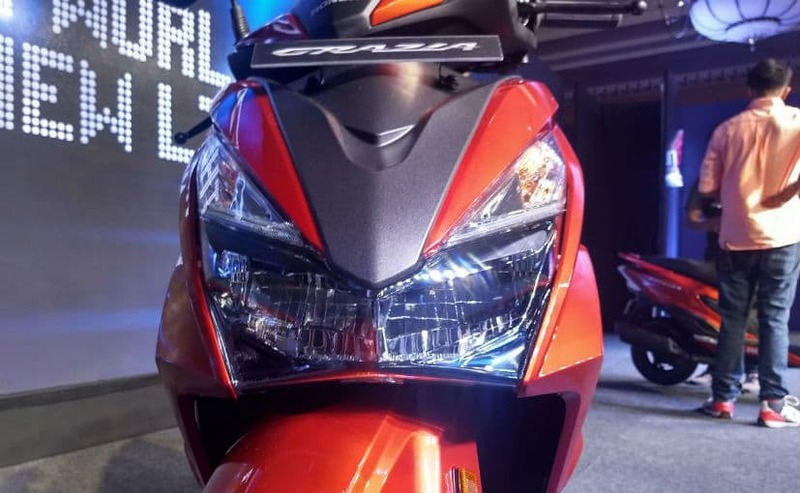 Coming to the brand new features of the scooter, Grazia sports a bold new Led Headlamp (first in segment) which provides a better visibility and adds to the visual appeal of the scooter. A 3 step eco speed indicator is also present, which shows you real-time mileage information. Grazia has a fully digital console, which gives it a truly upmarket feel. A fully digital instrumentation system is there in place as well. A 4 in 1 lock seat opener switch is added so that the rider does not have to take the key out and put it in the rear for opening the seat. All new utility pockets have been added where you can put your mobile phone safely. A USB charging port under the seat is however kept optional. The scooter's inner board keeps in mind the users comfort and leg space has been increased. It will be available in 6 different colors: Matte Marvel Blue Metallic, Neo Orange Metallic, Pearl Amazing White, Pearl Night Star Black, Matte Axis Grey Metallic and Pearl Spartan Red. Black Alloy wheels come fitted with the Scooter. Moving to the Engine department, the scooter is powered by a 124.9cc engine using Honda's fuel saving HET technology. The same engine is also used in Activa. The engine delivers a maximum power of 8.52 bhp @6500 RPM and a maximum torque of 10.54 Nm @5000 RPM, which is crisp enough for daily commuting needs. CVT Automatic transmission is used for delivering power. Combi brake system(CBS) with Equalizer is installed for better braking. Standard, Standard Alloy and Deluxe are the three choices Honda offers. The Pre-bookings have started already in October and more than 1000 people have already registered. Honda seems to have played the right card as the Scooter industry in India is booming. It seems the love for Scooters is increasing in Indians perhaps due to the ease of driving as compared with motorcycles and good mileage offered by Scooters now a days. So do you prefer a bike or a Scooter? And what do you think about Grazia? Do let us know your thoughts below in the comments. I think that's definitely a good looking scooter. Honda just needs to come up with better looking designs while keeping the Activa engine that's tried and tested. Yes of course the engine is superb. Mine has run for over 60,000KM and it's still going strong. All it needs is timely services.